How do you harden your plants? If you are using 100% coir, then watering with a fertilizer solution is a definite must. This I learned from that little mishap I wrote about last week. 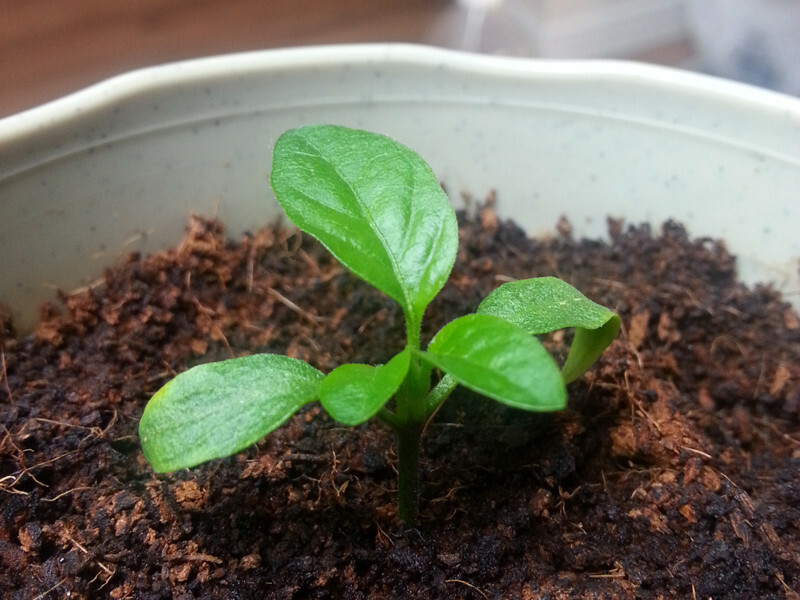 It would seem that the fertilizer I gave the seedlings really kicked off a growth spurt with them. 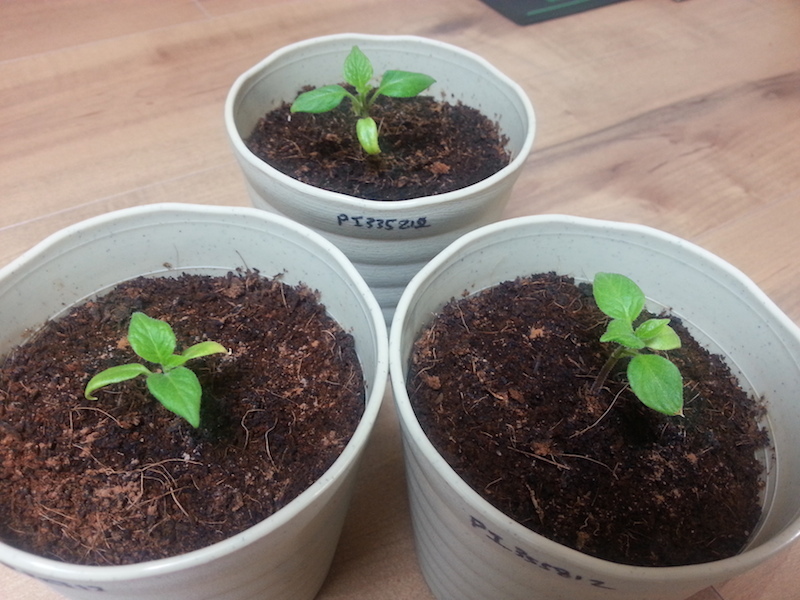 All of the early start seedlings are putting out new leaves and doing much better than before. Jalapeno sprout finally started pumping out leaves. This little guy above just last week only had a tiny little growth node poking out, and now look at him! 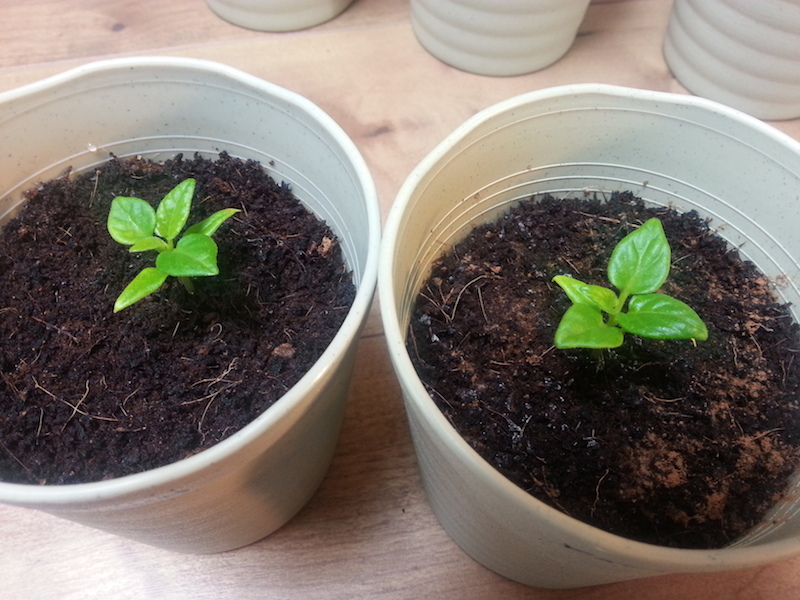 I now know that the fertilizer I have can be used at full strength and not burn the seedlings; but even then I will probably stick with half strength until plant out. And speaking of plant out, I finally figured out my plan for hardening off the seedlings over the next couple of weeks. Most articles about hardening off advocate taking your plants in and out for a few hours a day over the course of 10 or more days, with gradually increasing amounts of time spent out doors until you eventually leave them out all day and perhaps all night long. Since I'm at work all day, this is not an option or me. However, since Fridays are my early day home from work---I typically get home around 2PM---I am planning to use the tried and true method above for the weekend, and then starting on the following Monday I'll just leave the seedlings outside under a row cover for the day and bring them in a night. 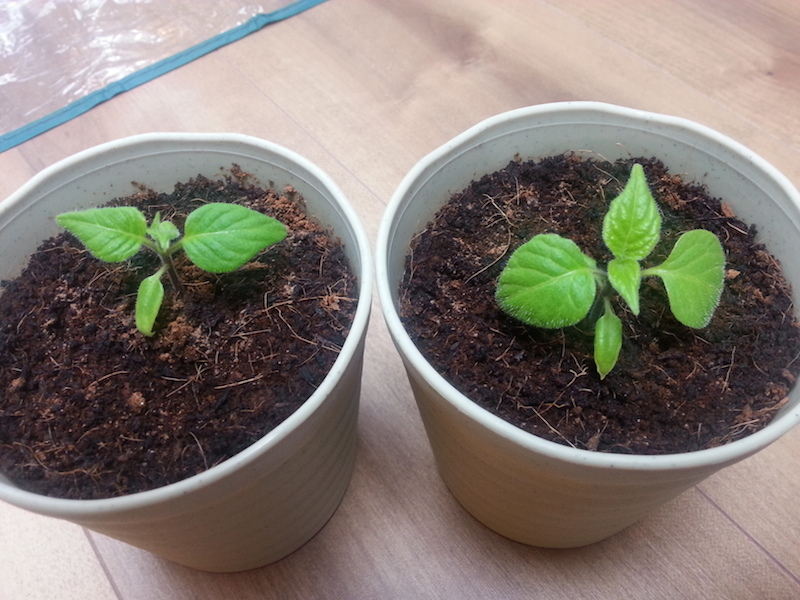 The two worries I have are how the seedlings might cope with unfettered sunlight, and how the wind outside might affect them. Temperature wise they should be okay; they have been exposed to large temperature fluctuations their entire lives since our house is not centrally climate controlled. I guess I will just have to see what happens. How do you harden your plants off?